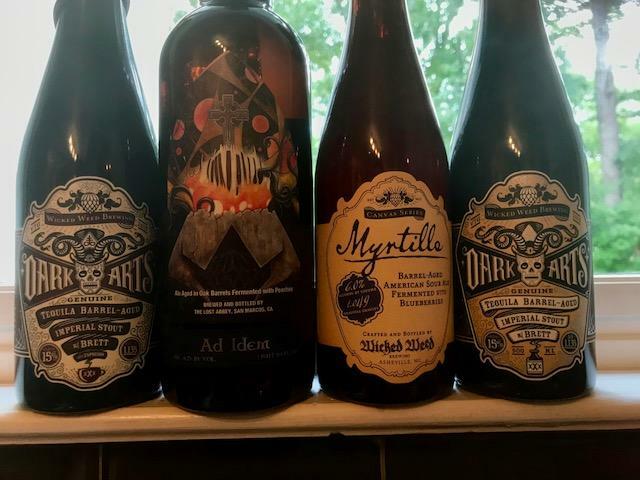 Selling some older (pre InBev) wicked weed beers. Two 2015 Dark Arts, Tequila Barrel aged Brett Stout. One regular and one the variation with espresso. Both are 15% abv. One bottle of Myrtille, barrel aged sour with blueberries batch #955, the first release. Bottled 3.25.16 6% abv. One bottle of Ad Idem collaboration with The Lost Abbey, oak barrel aged with Peaches. 6.2% abv.